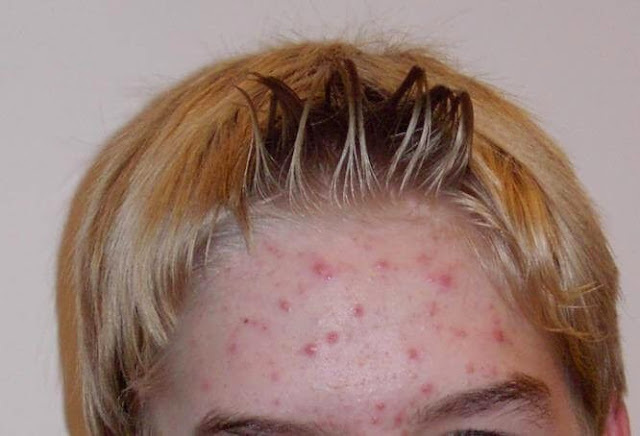 Why Do Boys Get More Pimples Than Girls? This is because the real cause of pimples is hormonal. So it is a problem that affects adolescents. Adolescents, a stage of life in which hormone production runs wild. At this stage of development, the body begins to produce more androgens. These hormones, among other things, stimulate the sebaceous glands at the root of the hair follicles; they secrete more sebum an oily or waxy matter, to lubricate and waterproof the skin. Which emerges through the pores of the epidermis. But they do it in such quantities and so quickly that the pore is clogged. When this sebum clogs the pores and does not flow, accumulate beneath dead skin cells. As the secretion increases, pushing up and the grain appears. That small whitish grains darken when exposed to air and light, resulting in a comedo popularly known as black spot. There are many more kinds of bacteria living on our skin, among them the Propionibacterium be nourished by dead skin cells, thereby causing infection, resulting in a swelling and a sack of pus. The male body secretes more androgens than women. That’s why boys suffer more acne than girls.